Over the coming years, New York City’s population growth will present both a challenge and an opportunity. The number of people living alongside the city’s waterfront is expected to continue to grow, so too will the risks those residents will face; from climate change, legacy toxins, and ongoing sewage pollution. Meanwhile, New Yorkers are increasingly taking to the water, whether for fishing, kayaking, biking, and swimming. As more people play in or near our waterways, public concern and awareness grow, leading to increased community advocacy. Around the city, Riverkeeper has been working to engage and activate communities along diverse waterfronts. We actively support and strengthen the work of organizations like the Guardians of Flushing Bay, Gowanus Canal Conservancy and Newtown Creek Alliance. In the 50 years since Riverkeeper’s founding, we’ve been glad to see a sea of change in the way the city approaches clean water. Public access points, triathlons, ferry services, green infrastructure, esplanades, education centers, and restoration work has bridged the pollution-based divide that once separated New Yorkers from their Sixth Borough – the waters around them. Much work remains, however — and Riverkeeper looks forward to helping steward the next 50 years of change in New York City. Riverkeeper enforces environmental laws such as the federal Clean Water Act in New York City. Our team has brought scores of polluters to justice over the years and have resolved many cases through cooperation and communication with the violators. 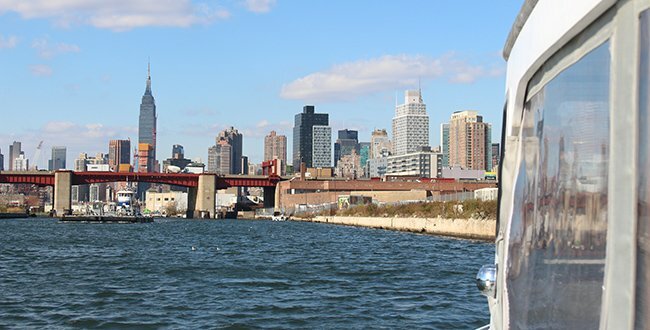 In addition, our Boat Program regularly patrols NYC’s waters, deterring potential pollution and continually bringing new cases to the attention of our legal and policy team. But we can’t be everywhere at once, so we rely on the public to report potential violations of environmental law. If you see something, say something. Use our online Watchdog form to report potential pollution or call 1-800-21-RIVER ext 231. Read about some of our enforcement actions here. Nearly two-thirds of the city is served by sewer systems that are connected to stormwater systems, in what is known as a “combined sewer” system. When it rains as little as one-twentieth of an inch in some places — stormwater and untreated sewage mix in these combined sewer pipes, overwhelm the infrastructure’s limited capacity, and discharge from Combined Sewer Outfalls (called “CSOs”) all around the waterfront. When it’s raining over most of the city, most anything you flush down a toilet, any water from a sink, shower, or laundry machine, and anything washing off your building, car, and street all combine below ground and are discharged into your local river. The city’s 460 outfalls dump over 27 billion gallons of pathogen-laden, oil-swept, litter-filled combined sewage into our NYC waterways each year. Riverkeeper has been advocating at the city, state, and federal level to address combined sewage discharges city-wide. From Flushing Creek and Gowanus Canal, to the Harlem River and Newtown Creek, New York City’s waterways need advocates! The NYC Department of Environmental Protection is currently developing Long Term Control Plans to address CSO discharges; for those plans approved by New York State, these LTCPs will be the full and complete strategies the city will be bound to for addressing CSO pollution. Riverkeeper is deeply involved in the process of developing these plans, and making sure the state only accepts the best quality LTCPs for our waters’ future. In addition to LTCP work, Riverkeeper is lobbying for greater investments in green infrastructure, improvements to existing systems, and efficiency measures. Visit the website of Riverkeeper’s partner, the Stormwater Infrastructure Matters (SWIM) Coalition, for more about CSOs. Across about 40 percent of the city, unlike in the combined sewershed, sewage coming from homes and businesses (e.g., showers, toilets, sinks, washing machines, etc.) is funneled to one of 14 NYC wastewater treatment plants in pipes that are kept separate from stormwater. In these systems, though, those stormwater pipes (which carry anything that runs off streets, sidewalks, parks, roofs, buildings, cars, and highways) discharge directly into nearby waterways. Riverkeeper research shows that this runoff can be full of a host of dangerous pollutants. Over the long history of the city, its waters have absorbed this downside of development. Toxins, oils, bacteria, garbage, street runoff, and myriad other pollutants carried by stormwater runoff are fouling the ecosystem and creating risks to public health. Riverkeeper is pushing for greater investment in green and gray infrastructure, projects that could reduce the amount of stormwater that drains directly into waterways. Riverkeeper has been working with the city on the details of its first-ever “stormwater management plan” (SWMP) – required under an August 2015 Stormwater Permit issued by New York State. As part of this permit, the city will be building brand new enforcement, oversight, public education, and stormwater capture and control systems in the 40 percent of the city served by these separate storm sewers. Visit the S.W.I.M. Coalition, for more information on these Municipal Separate Storm Sewers, the city’s new permit, and stormwater management planning information. How’s the Water around New York City? We have our work cut out for us. Water quality can be measured by many different indicators. 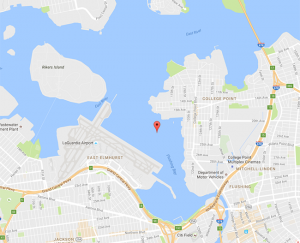 While most water advocacy work focuses on sewage, stormwater, and toxics (like Superfund sites and PCBs), a host of other water quality, harbor management, and pollution prevention work goes on in New York City. The most common question we receive is, “is the water safe for swimming?” In 2011 Riverkeeper began sampling for enterococcus, a bacterial indicator of sewage contamination to begin answering this important question. Riverkeeper partners with the New York City Water Trail Association on a citizen sampling program in addition to our own sampling program. The data show that swimability is variable and dependent upon many factors such as location, tides and precipitation. Explore the data via the links below. Trash Free Hudson Campaign page for more information. Along with NY/NJ Baykeeper and Clean Ocean Action, Riverkeeper is working on a comprehensive review of the sources of — and solutions to — plastic pollution in New York City. Whether plastic pollution comes from discarded straws or the microfibers present in clothing, it has no place in our coastal ecosystem. As one of the nation’s most densely populated estuaries, with some of the nation’s longest history of coastal and urban water pollution, collaboration with the Harbor Estuary Program, housed at the Hudson River Foundation and run by many of the region’s top agency officials, is vital. Riverkeeper currently sits as New York State Chair of the HEP “Citizen Advisory Committee” and works with the HEP on matters relating to restoration, access, water quality, and regional planning. Throughout the waters of New York City, regular operations such as tugboat traffic or coastal construction projects can lead to chemical spills, oil spills, fuel leaks, or a host of other contamination events. Spills on upland sites — in from the waterfront — can also impact the waters of NYC. Riverkeeper keeps an eye on the water’s edge and works with New York State DEC when we spot a spill. You can also help us look out for spills by being an active Riverkeeper Watchdog, and contacting us if you see something in the water that shouldn’t be there! Runoff, stormwater discharges, and sewage pollution (from CSOs as well as the city’s 14 Water Treatment Facilities) do more than just risk swimmer safety — the organics (specifically, nutrients like nitrates) in that waste can lead to anything from toxic algal blooms to hypoxic or anoxic “dead zones” (with low levels of oxygen) in the harbor, Long Island Sound, and the NY Bight. We’re working with groups like Save the Sound to reduce our city’s nutrient impacts. New York City was once the oyster capital of the world, with billions of oysters throughout our local waterways, wetlands, and marshes. Oysters can filter up to 50 gallons of water a day, making them key partners in our work toward clean water in the city.We work closely with the NY Harbor School’s Billion Oyster Project as well as NY/NJ Baykeeper and the Pace University Academy for Applied Environmental Studies to bring oysters back to the city. Superstorm Sandy and Hurricane Irene have been two of the most recent reminders that New York is a city of islands with over 500 miles of coastline. Our sea level is rising, our ecosystems are shifting, and our vulnerabilities remain unmitigated. Riverkeeper works with organizations and agencies such as the Waterfront Alliance, NYC’s Department of City Planning, Army Corps of Engineers, and a host of others to ensure not only that the city’s waterfront adapts to emerging climate realities but that climate change is taken into account in all aspects of water governance, from setting water quality standards and enforcing permits to stormwater management planning, waterfront access, and fisheries habitat protection decisions. 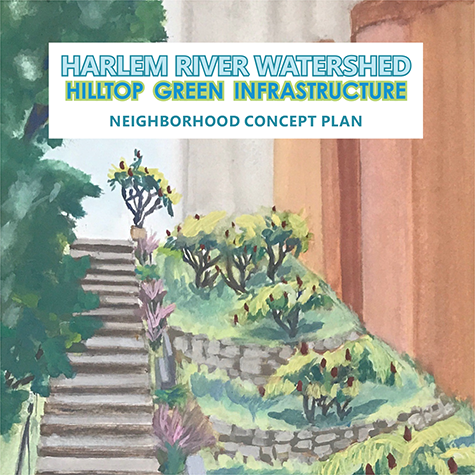 Made possible by the generous support of the New York State Department of Environmental Conservation’s Hudson River Estuary Program, Harlem River Watershed Hilltop Green Infrastructure is a comprehensive Neighborhood Concept Plan to help mitigate Combined Sewer Overflow (CSO) pollution in Harlem River, minimize local flooding, and gain community and environmental benefits. This plan is a template that can be replicated throughout the watershed, magnifying the water quality impact and distribution of benefits through an inter-connected approach. 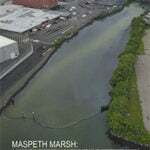 Brooklyn’s Gowanus Canal is one of the most heavily contaminated water bodies in the nation. The canal, 1.8 miles long and 100 feet wide, was built in the 1800s as industrial waterfront space constraints in Manhattan and along Newtown Creek created a need for a new shipping hub. Historically, Gowanus has been home to industries ranging from manufactured gas plants and cement facilities, to oil refineries, tanneries, and chemical plants. After nearly 150 years of heavy industrial use, the contamination levels of the canal were the worst in the nation; PCBs, heavy metals, pesticides, volatile organic compounds, raw sewage, and polycyclic aromatic hydrocarbons (PAHs) are found throughout the Canal and the land around it. In 2010, the U.S. Environmental Protection Agency, included the Gowanus Canal on its National Priorities List making the Gowanus Canal a Superfund site. Under Superfund law, the EPA can step in to clean up toxic sites just like the Gowanus, and hold the polluters — both past and present — financially accountable for that remediation. In 2013, after three years of research, testing, and planning, the EPA issued its “Record of Decision” — the agency’s clean-up plan for the canal. Since 2013, there has been a flurry of activity along the canal; new developments, new grocers, new waterfront access, and a host of clean-up related initiatives. That said, we have a long way to go. Among the key issues facing the canal today are questions about the ongoing need to prevent sewage and recontamination from combined sewer systems, waterfront access, bridges, and boating safety, and the long-term Canal-wide Superfund clean-up schedule the EPA is working to enforce and implement. Our involvement in the canal runs deep. For years, our monthly patrols on the waterway have led to dozens of Clean Water Act citizen suit enforcement cases. Our community engagement and legal teams are members of the Community Advisory Group for the Superfund clean-up. Riverkeeper has been pushing for stormwater controls and green infrastructure in the watershed to reduce sources of new contamination. Overall, we have a long way to go before the canal is fishable and swimmable, and a healthy aquatic ecosystem, but Riverkeeper will continue to stand with the local community on and fight to get there. This study aims to spark an in-depth restoration plan as part of a Natural Resources Damages Assessment (NRDA) project, and to understand the motivation, base conditions required, precedent projects, need, and potential for a salt marsh in Maspeth Creek aspart of any remediated Newtown Creek Plan. Newtown Creek, sits on the border of the boroughs of Queens and Brooklyn, across the East River from the United Nations, runs over three miles inland into the Maspeth neighborhood, and along with the Gowanus Canal, is considered to be one of the most heavily contaminated water bodies in the nation. The Creek, originally a tidal estuary with miles of channels supporting a vast network of marshes and tidelands, was gradually narrowed, filled in, and industrialized beginning in the early 1800s. Over the years, the Creek has been — and continues to be — home to a host of industries, including oil refineries and depots, waste facilities, manufacturing hubs, and transportation sites. Because of this intense industrial use, the Creek’s toxic legacy left us with unacceptable levels of PCB, metal, volatile organic compounds, raw sewage, and polycyclic aromatic hydrocarbons. Federal agencies estimate that, over the past century, more oil has been spilled into the Creek than the Exxon Valdez spill in Alaska in 1989. In 2010, the U.S. Environmental Protection Agency, included Newtown Creek on its National Priorities List making it a Superfund site. Under Superfund law, the EPA can step in to clean up toxic sites just like the Creek, and hold the polluters (past and present) accountable – financially – for that remediation. In the years since the Creek’s designation, the EPA has been attempting to develop a “Record of Decision,” which would be the agency’s official clean-up plan for the Creek. These efforts are ongoing, and Riverkeeper is working diligently with local partners to see that this Decision be developed as rapidly as possible. After a century of neglect, further delay is unacceptable. Riverkeeper has been actively patrolling Newtown Creek since 2002, when its first boat patrol discovered oil seeps, abandoned cars and floating garbage littering the Creek. Riverkeeper also helped found the Newtown Creek Alliance, a coalition of elected officials, local residents, business owners and other non-profit organizations working to improve the Creek and adjoining neighborhoods. Beyond the legacy contamination in the Creek which Riverkeeper will be working to ensure gets cleaned up under the Superfund process, we’re working on a host of other issues on the Creek. The city and state are currently working to develop a Long Term Control Plan to address the Creek’s huge Combined Sewer Overflow problem that brings over a billion gallons of CSO (sewage/rainwater mix) pollution into the Creek each year. We’re also working on helping the community develop and implement restoration plans for the Creek, it’s waterfront edge, and it’s tributaries, with a goal of restoring the natural function of this once-wetland. Finally, the Creek is the primary focus of our enforcement patrols, where our boat and legal programs leverage the Clean Water Act to ensure that polluters clean up their acts. We have a long way to go on Newtown Creek; we don’t have a Superfund site plan from the EPA to remediate the toxic pollution, a control plan to reduce CSO sewage pollution, nor a vision for ecological restoration goals. Riverkeeper plans to continue to work with the local community to drive the remediation, restoration, and permanent protection of the Creek. Flushing Bay and Creek are waters experiencing a renaissance after decades of industrial pollution and neglect. 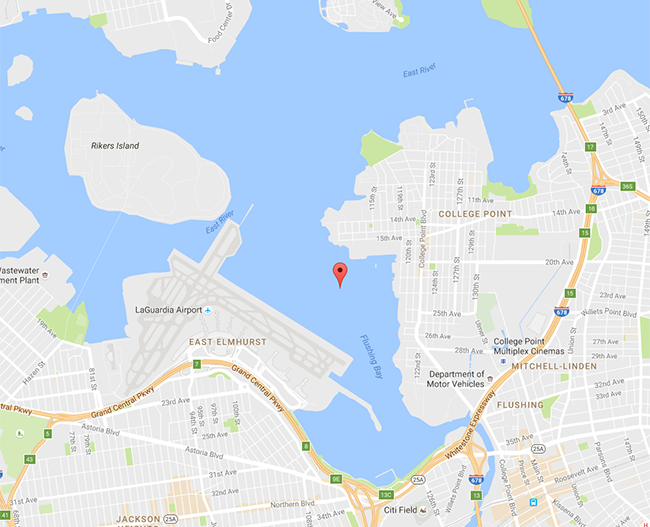 In addition to historic pollution, combined sewage overflows in Flushing Bay and Creek pose ecological and public health risks. Despite these challenges community groups and recreational users are reclaiming the Queens waterway for the community and together, fighting protect the waters from historic and new threats. Riverkeeper works closely with our partners at Friends of Flushing Creek, Guardians of Flushing Bay, SWIM and the Empire Dragon Boat team to protect and restore this vital waterbody. From the Battery to Long Island Sound, and up through the Harlem River, the East River is the focal point of many of NYC’s tributaries and waterfronts. Importantly, the East River is not actually a river, it is a tidal strait, through which Mid-Atlantic tides rush twice a day. The East River watershed and waterfront is home to huge development projects, long-standing industrial pollution, ferry services, and millions of people. It is fed by waters from small tributaries like Bushwick Inlet, large tributaries like Newtown Creek or the Bronx River, and both separate and combined sewer systems. As such, the East River is burdened by a huge amount of sewage, oil, toxic, and legacy pollutants. Riverkeeper’s work in the East River runs the gamut from pushing for more public access and improved water quality standards, to calling for oyster restoration, improvements in coastal zone site planning, and increased brownfield remediation efforts.